With each Toy Story film there are new characters introduced, and it never takes long for them to feel like one of the gang. We've already seen Key & Peele's new duo, Ducky and Bunny, in their own Toy Story 4 teaser, and now Tim Allen has revealed that Keanu Reeves will be playing a new character, as well. Allen, the longtime voice of Buzz Lightyear, teased Reeves' character while on The Tonight Show with Jimmy Fallon, but doesn't give any details on who he's playing except that he has "a bit of an edge." Maybe it's a play on John Wick? "It is so good. These guys are geniuses. It's so deep and moving and a wonderful plot. I can't give anything away. It's about different kinds of toys. They really will surprise you with the toys that they come up with. New guys are in it. 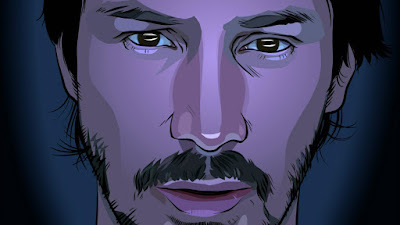 Keanu Reeves has got a great part in it." Toy Story 4 hits theaters on June 21st 2019.